A must-have pantry staple that’s perfect for tea, baking, and other recipes. It never dawned on me that I needed to make my own chai spice mix until I strolled past every grocery store’s herb and spice section to find no chai mix in sight! Now, sure there is chai spice powder and chai tea but there are times that I would just like to have the seasoning. 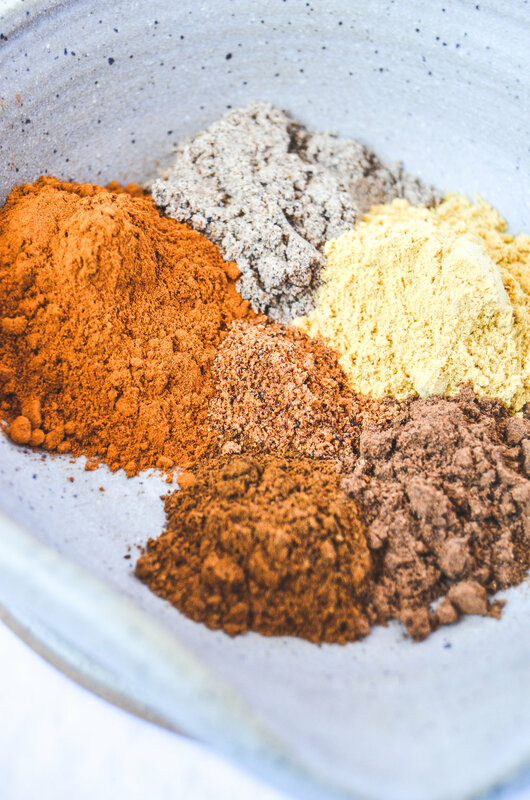 The perfect chai spice mix can enhance so many traditional recipes that you may not have thought of. For example, add a teaspoon or two of chai spice mix to plain pancake batter and you my friend, will have chai spiced pancakes! 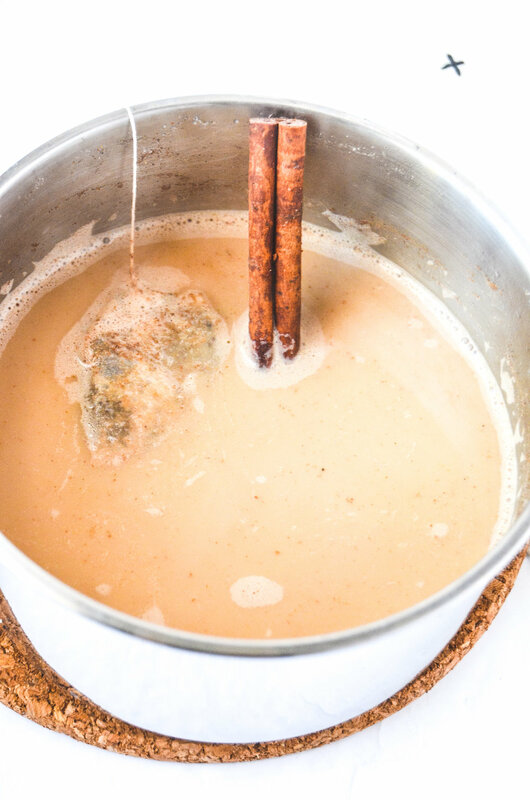 This mix is also great to have on hand if you would like to make a latte, chai latte donut holes or to add to most recipes like pancakes, oatmeal, donuts, bread or vegetables like sweet potatoes...the possibilities are endless! 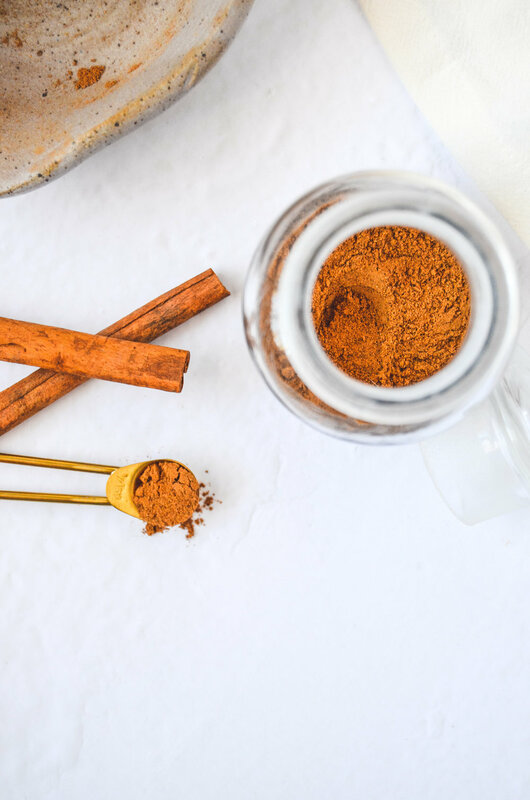 Seasonings that are used in this chai spice are quite traditional so feel free to mix things up if you would like! For this recipe, I used cinnamon, ginger, cloves, nutmeg, allspice, and cardamom. 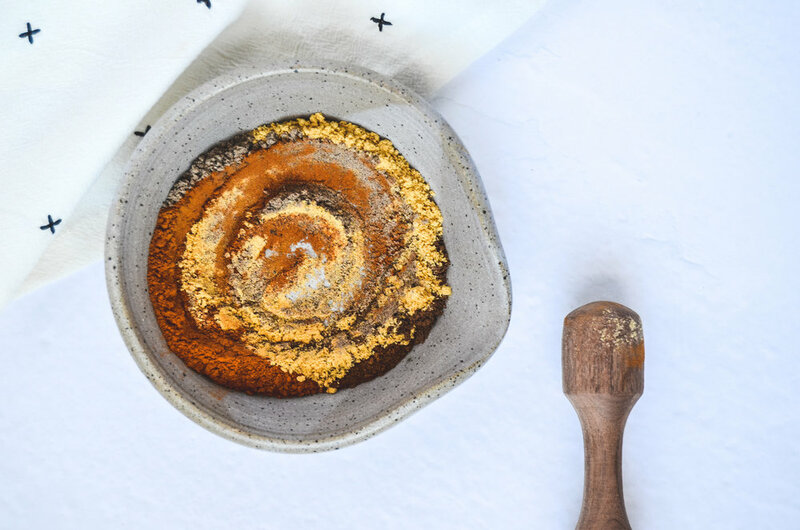 You can add all the spices to a mortar and pestle to make sure the seasonings are fully incorporated and nicely grounded or you can simply mix all ingredients using a small whisk or spoon. Funnel seasonings into a spice jar and store in a dry place until ready to use! Add 1 cup plant-based milk, 1 cup water, 1 black tea teabag, ½ tsp chai spice mix, 2 tsp honey and simmer in a small saucepan for 5 minutes. Add a cinnamon stick and star anise to really enhance the flavors! Discard tea bag, optional cinnamon stick and star anise, and pour into a mug and enjoy! Add all ingredients to a mortar and pestle or small bowl and combine until fully combined. Transfer to a spice jar and store in a dry place until ready to use!